As part of MG Awareness Month we are sharing personal stories written by individuals impacted by MG. Today’s post is written by good friend and fellow WWMG member, Alice White-Kaminski. 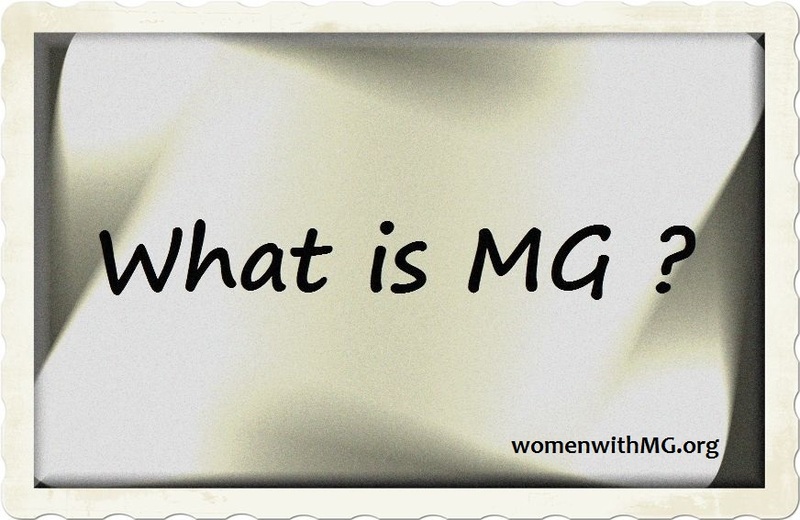 I am not on ANY medication for the Myasthenia Gravis (MG). I went undiagnosed and untreated for over 4 years, so I knew I was doing minimal alterations to my system in order to try to control it. That was my decision because I had consulted with a functional chiropractor, along with my internist(pcp), an orthopedic surgeon, a few neurologists and several ER physicians. 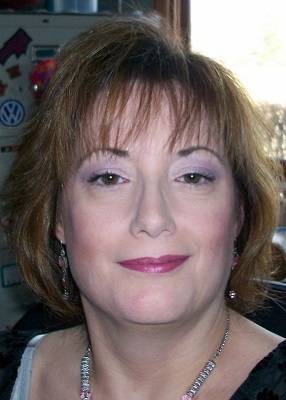 She(Func-chiro) never met me in person, but helped me figure out my problem through email and phone conversations!! She had me go to my family doctor for blood tests, and he was willing since he couldn’t figure me out. One of those tests was the MuSK test…SHE was the one who suggested it for me! I did not get the results back until I had been in the hospital for a couple of weeks though. It takes several weeks to a few months to get the results on the MuSk test. During those first weeks post diagnosis I was under the care of a great neurologist and his team. They (the interns) listened to all of my research, trials, and plans for my recovery. They kept my wishes in mind when seeking treatments for me. They did research and brought me ideas. They knew I was totally against steroids. Even though they can give you that burst of strength, the things it takes away are so much greater. No Way!! I need to sleep!! I also had lost over 100 pounds while in exacerbation from the MG, and any weight gain was unacceptable. I had fought for YEARS to lose it, and no way was this pill taking that from me. It may sound vain to some, but unless you have endured a life in a 300 pound body…don’t judge me too harshly please. =) The weight loss was the only gift MG ever gave me, why should I squander it? I know that there may be a time that I will feel differently, but I want to try to balance my immune system – not shut it down or suppress it. We did try the Mestinon before my MuSk test came back, and it made me so weak!! I had minimal arm and leg weakness before Mestinon, but I could barely function ON it!! Thank goodness the Musk test came back, or I could have gone into cholinergic crisis!! Even though my approach is mostly natural and proactive, I do take two prescription medications. I take Motrin for pain and inflammation. I take Valtrex to suppress the herpes viruses that we(internist, func-chiro, and I) feel are sparking the immune response that is Myasthenia Gravis. I have three strains of herpes…Zoster(chicken pox/shingles), Simplex(cold sores), and Epstein Barr(mononucleosis). They are active in me often. I have shingles or the pain from it all the time, even on the meds. I have moderate to severe fatigue from the Epstein Barr, which mimics the MG at times too. BUT…since I have been taking the Valtrex daily…the MG flares are less often and less severe. YAY!! That being said, those viruses are still active. The meds do nothing to control the Epstein Barr. I have to take these meds daily, or the flares get worse. When I first started sharing with the MG community on Facebook, I experienced a lot of criticism and disbelief in the big groups about my wellness techniques. My gluten free, anti inflammatory, high nutrition diet was a joke to many! Can you believe it? 😉 Well, that was when I decided to start Snowflake Wellness – a group on Facebook that I began with my friend and fellow MG Warrior, Christy Lier. And now we are almost 150 strong!! We have been helping each other make wiser choices about food, stress, and exercise for over a year…and many are doing really good! You must keep in mind that many of us are on at least one of the MG meds though. Whether it be mestinon, or the other harsher drugs, those will make the journey to wellness longer…but not impossible!! Just longer. Our immune systems are so complex!! The work it takes to heal it is immense. That is why we must be our own advocates, our own answer finding medical sleuths. There are hundreds upon hundreds of us sharing our experiences, because many of our doctors have never met anyone with MG before. We need to KNOW if that symptom is common, and our groups can tell us that. Peace of mind is priceless in a lifelong battle with chronic illness. I have my good days, and my bad days with MG. Some days I feel like the old me. I get up and out, take care of my business and my home. I shop, clean, organize and plan. Just like the days before MG!! But then there are days that I sleep almost 24 hours, I am so weak. Those days come closer to my scheduled treatment date, and these days that is every 5 weeks. In between there I feel fatigued, but like I can do more. I garden, cook big family dinners, but I do not work at a job outside the home…yet. I hope to find a new path where I can use all of my knowledge and skills again! My career was in retail management. I had gone to work in the layaway department at Kmart in college…and I knew the pace and the people would be my life. I worked for many retailers through the years, even worked in Beverly Hills, California for awhile. My schedule was grueling at times. I worked various shifts in the same week, and I was on my feet long hours. Some jobs I had to be dressed a certain way, in heels and skirts. I began to feel more pain and fatigue, and I couldn’t endure the days on my feet anymore. I had been experiencing symptoms of MG for several years in ways that were inhibiting my chosen work. I was having difficulty breathing, my balance was off, and my eyes were twitching and heavy lidded often. Being that I was a large woman, any fluctuation in my demeanor brought scrutiny. Why was I breathing so hard? Why were my eyes so droopy? The questions stung me like a bee, because I had NO idea!! I continued on and pushed through it all for years, telling myself it was because of my weight and my age. The stress of losing my job to the recession and layoffs made things worse, and a head injury was likely what spurred the acute exacerbation in Spring of 2011. So I work at regaining some of what I lost. I write often about my journey to try to help others find strength in the days of MG. I share all I have with my group, Snowflake Wellness, so that we can all find ways to a better future with less meds. I spend extra time with my nieces, so they can grow up to be better women. I take time with my Mom, because she isn’t getting any younger. I use the advantage of my time away from work to nurture my LIFE! Try to find the beauty of each day. Appreciate all you have to love. The good will soon outweigh the bad, and life will be better. I am sorry that there is no book for you to read, but you are welcome to ask me anything. Thanks for sharing! I liked your page and look forward to reading your posts.